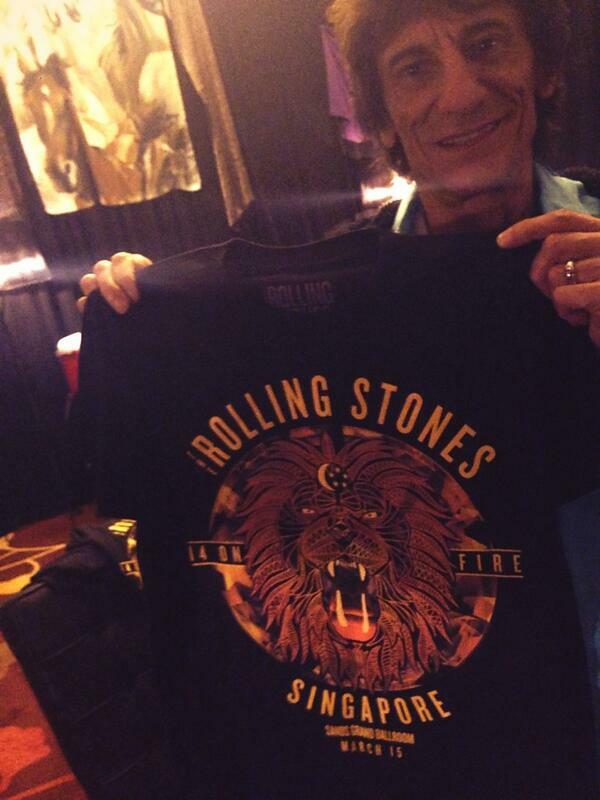 This thread is for live updates and comments regarding the Rolling Stones SINGAPORE show on Saturday March 15, 2014. Please tell us your pre- and post-show thoughts and comments here. The show is expected to start shortly after 8pm. Singapore is 7 hours ahead of Central Europe, 8 hours ahead of UK and 13 hours ahead of US East coast. If you are there you will see the large LOUIS VUITTON sign on the building across the walkways, placed in the water, and right next to the bar/restaaurant there is a black building named "BAZIN" "Reopening soon". Then there is a large white MERCHANDISE tent (nice T-shirts 14 On Fire), then the entrance to the arena and right now some "Marina Bay Sands - Rocks Singapore" stage. There are many waterholes there too, but they are hard to arrange vs meeting, and theey are may be not so good for food. The South Coast bar/restaurant have got VB beer and 3 more on draft/tap, and the food is perfect. I have been living on all sorts of food during the paast few weeks so I would know. Show start shortly after 8pm, so I would recommend this meeting place between 5pm and 7pm. Edited 3 time(s). Last edit at 2014-03-15 13:00 by Irix. Have fun and be safer to all who are going. Hope someone will shoot the whole show in HD from the screen outside ! Edited 1 time(s). Last edit at 2014-03-15 11:55 by Irix. Ooh, I like. Reminds me of my chow chow. In a pizza place at the venue. So far they've played Melody, Monkey Man and Neighbours on the sound system. This place is getting better in the mood.. I love it. No matter where they play, it becomes Stonesland for the day. There won't be a satellite feed. You only need that for TV transmission. Getting in the mood...2 hours to go..cant wait to see inside the venue..
Looks like a good atmosphere. Have a great time everyone! Looking forward to the updates. Can't believe I'm up before showtime! Didn't plan on it, but since the coffee's already made, I think I may stay up & enjoy a Stones show with sone friends at IORR! Thanks in advance to all who are actually at the show! I hope you all have a great time! So it is the smallest venue in this leg of tour, and the band on fire. Sounds promising. But of course, being not such an usual place for them, so they are not going to be too adventurous. Some pre-gig set list speculation. In Shanghai they varied five songs in their set list, which probably is the record during the recent tour (and I take that to include 50 AND COUNTING TOUR as well). Okay, Chineze authorities had a hand on that, but if we stick within the bounds of realism, today we will going to hear three or four variations, "Brown Sugar" and "Honky Tonk Women" making a come-back. The third new song will be from fan vote, and most likely it is "Let's Spend The Night Together". Like I was informed, the song had not yet been played at all, even though it was once a candidate in some fan vote during American tour. Personally I would like them to do "When The Whip Comes Down", since their reading of "Respectable" was surprisingly strong, but that doesn't sound very realistic. Off goes "Street Fighting Man", "All Down The Line" and "Dead Flowers" surely, replaced by those above-mentioned songs, and the vacancies of "Get Off of My Cloud" - the second song of the set - and "Ruby Tuesday" - the ballad of the set - are also those which might vary. The first one is seriously challanged by "You Got Me Rocking", which seemingly worked very well at least in Japan. "Ruby Tuesday" might be replaced by other classics, such as "Wild Horses", "Angie" or "Beast of Burden", but if they really go crazy, we might hear "Worried About You" or even "Streets of Love" or "Till The Next Goodbye". Love your post Doxa!! Thinking the same thing. 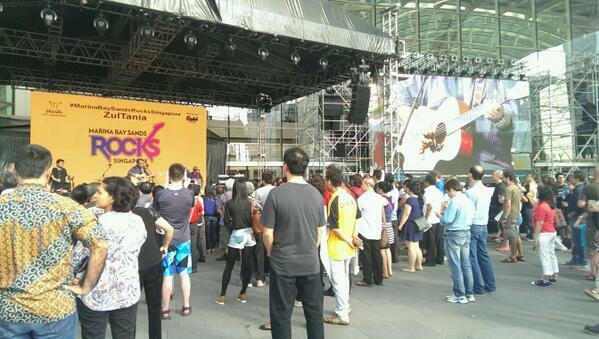 Crossing my fingers that the band relished on the changes in Shangai.. Thank you Doxa for your bang on speculation! It's becoming exciting to witness each show on these live comments threads. No matter the set list, each show is an event in itself. A show for the next DVD/download? I wonder why Charlie has his name a guitar pick. Ouch, I forgot Keith's set.... there is an option for variance as well. Is "Happy" going to survive, or do we go back to normal with "Before They Make Me Run". Soon we will know! 40 minutes to go... BV and the other IORRians heading from a pub to venue, we here behind our laptops... IS EVERYBODY READY? Edited 1 time(s). Last edit at 2014-03-15 13:23 by Doxa. I am inside at my seat and the place is TINY! !